As Gabriel Chavarria tells us, he never chose acting but just happened to be in the right place at the right time. 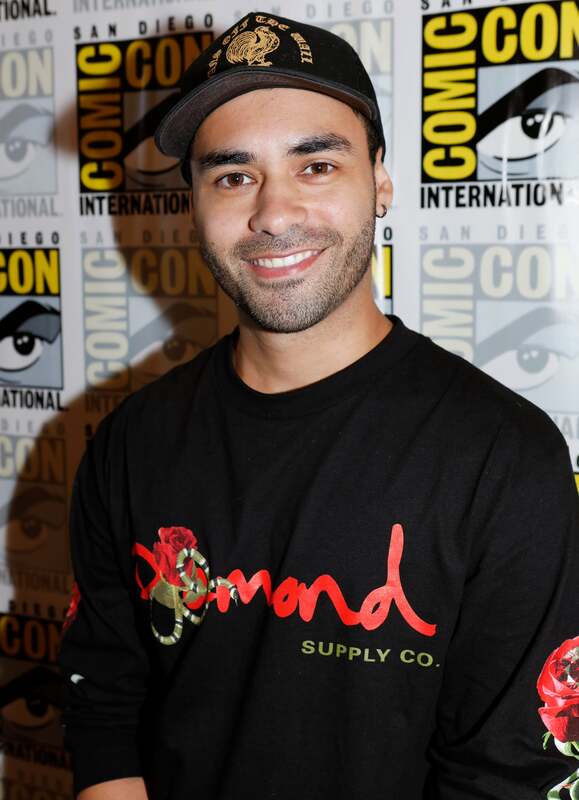 From the moment he was discovered by a casting director who was searching for a Latino kid to act opposite Hilary Swank in Richard LaGravenese's Freedom Writers, Gabriel Chavarria knew that he was destined to a life in front of a camera. 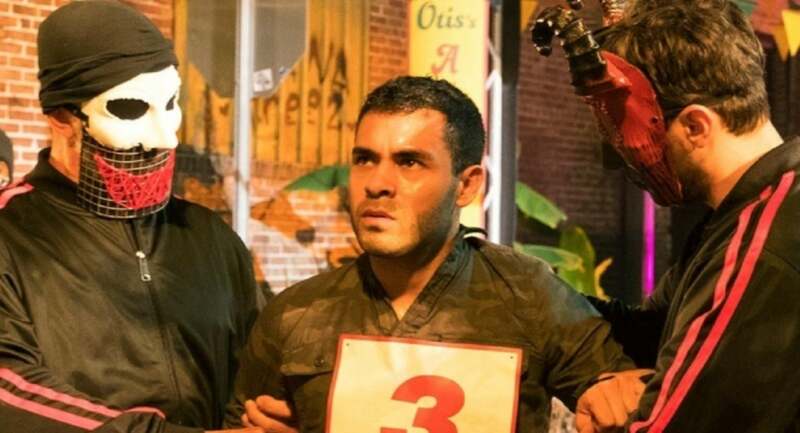 12 years after that chance meeting, the son of Hondurans from a small city called El Progreso has the lead in USA Network's The Purge, the TV version of the popular franchise created by James DeMonaco and Jason Blum in 2013. He also had the main role in another show, East Los High, and in the film Lowriders. Chavarria was also seen in War for the Planet of the Apes as Preacher. Were you in a frantic state for most of the shooting? It’s pretty challenging, actually. One of the cool things about the show, right in the beginning of the first episode, is that things really kick off, and we get right into it, we start another Purge. And we have to carry that on for 10 episodes. It’s definitely challenging and you have to keep the energy and the intensity 110 percent all the way through because, with this type of show and what the concept is, it’s very intense. But it’s a lot of fun. Were you a fan of the films? Yeah. I saw the first film when it first came out. I thought it was a very cool, very unique idea and something that we had never seen before. And James DeMonaco and Jason Blum did such a great job of creating this idea and this franchise. And they kept going and, to me, it just got better and better. The second one is definitely my favorite and I really enjoyed that film. And here we are with a television show now, and I am very lucky and privileged to be part of this popular franchise, with a huge fan base. Were you surprised that they went for a Latino leading man in an American TV show when you first got the job? No, not really. I think we are in a moment, right now, in Hollywood, when diversity is important. I think a lot of studios and networks understand that. And I think a lot of them are really starting to make changes. I did a pilot before (The Purge) and I was a lead in that and it was also for Fox. It’s happening and I wasn’t surprised. I think there’s going to be more Latino leading roles, male and female, in the time to come. Which is great. You are coming at the right moment with your career because, ten years ago, this wouldn’t be happening. Absolutely! I was doing this stuff ten years ago and I know which roles were available to me back then, and which are available now. But again, it’s been a journey and it’s been interesting within the industry and things are changing for the better, which is great. In fact, this week Mayans MC is also opening. This is the first time ever that we have two big shows opening with Latino leads. Yeah, I think it’s important. And also it’s funny_ JD Pardo, who is the lead in Mayans, is a buddy of mine, we did East Coast High together. I’m excited for him and for the show. And I know Elgin James, the co-creator of the show, also did Lowriders, a film that I was in. So I have a lot of people and friends in that project and you are right, it’s going to be pretty historic to have two new shows coming this Fall on cable television with Latino leads. It’s important and we are just barely scratching the surface, there’s going to be plenty more, even with the film world, with movies as well and everything else. So it’s definitely going to be an exciting time to be a Latino entertainer, whether it’s in writing, directing, acting and music. So we should all be reaching for the stars right now. Gabriel Chavarria as Miguel in the TV series The Purge. What are the good and bad qualities of your character in the show, Miguel? He is a US Marine and he’s got a bit of a hard edge, but he’s on a noble mission. He received a very cryptic letter from his sister, and that’s what brings him back on this particular Purge. He’s got to try and find where she is, ‘cause he knows she’s in danger. But he’s prepared to go out there and face all the craziness of the Purge. His main thing is his family and Penelope is everything to him, so he’s going to put himself on the line to save her. It seems that audiences are hungry for this kind of alternative reality/ post-apocalyptic types of shows where everybody is in danger. Why do you think we are hooked to these kinds of stories? I don’t know, I think first and foremost it’s great creative filmmaking. Our showrunner Thomas Kelly has done a great job of writing this show, establishing these characters and getting the audience to really care about them. We are living in 2018, and there are a lot of crazy things happening in the real world. Do you enjoy doing action scenes? That was one of the things that attracted me to this project and to this role - the fact that I get to do a lot of these fight and action sequences and stunts. Growing up as a kid, all the films that I loved and all the actors that I watched were all the big action movies and stars. For me to get an opportunity to dive into that world, that’s always fun. And on this show, we have a lot of stunts and I get to do a lot of them. I think it’s a lot of fun and it looks frigging awesome on film when it’s cut together. How did the whole dream of becoming an actor start for you? I never wanted to be an actor, it kind of fell into my lap and I was in the right place at the right time. I was 16 and was playing basketball in a park, and a casting director saw me for the film that they were casting, Freedom Writers. I didn’t even want to audition and my brother David convinced me to do it. I was like alright, I’ll give it a shot. And they loved it and they kept calling me back and I think I went to four callbacks. I was just a kid, not really knowing what’s going on, just going through the process. And then, sure enough, they offered me the role after about a month or two of auditioning. Once I stepped on the set at Paramount Studios, everything changed for me. I fell in love with the craft and I fell in love with the process. It just really, really sparked something in me- it was like falling in love, and I knew I didn’t want to let that go, I wanted to do that for the rest of my life. And I have been fortunate and lucky to continue to do that. What exactly was that you discovered when you did your first scene that kept you hooked until now? I think it was the magic. My very first scene was with Hillary Swank actually, and I think, it was just something that happened that was real, even though we are pretending, we’re actors, performing. But there is a sense of magic that happens. When you are working with your co-stars, they feel it and everyone feels it. That is what happened to me, that is what I got addicted to. Like man, what is that, I want to experience it all the time. How did your parents react when you said hey, they invited me to go to these auditions, and afterward when you said that this is what I want to do? This is funny, I love my parents, and they can’t really comprehend what I am doing in the industry, they know that I do movies, they know I do television. They have just always been very supportive and excited. I think most importantly for my mom is, don’t forget about God and go to church. They definitely keep me grounded. But they are super excited, especially my mom, she always wants to know what projects I am involved in and when is the next thing coming out. Yeah. I have ten brothers and one sister. I am sure there were a lot of action scenes in your family, right? One of the best things that my dad ever bought as a kid, was a camera. We would pick up the camera and we would just play, we would record ourselves playing soccer, we caught ourselves wrestling and doing all kinds of different things. I think that is where the natural ability was there, already implanted in me. Even when that audition happened for the movie Freedom Writers, I had a gist of what acting was. I think that all that time playing as a kid was just practice and was prepping me for what I would become later in the future.